The next time you’re hungry and want to have a lavish meal, but no time or energy to go out, just order special gourmet food delivered right at your door-step with ‘Flavour Box’. 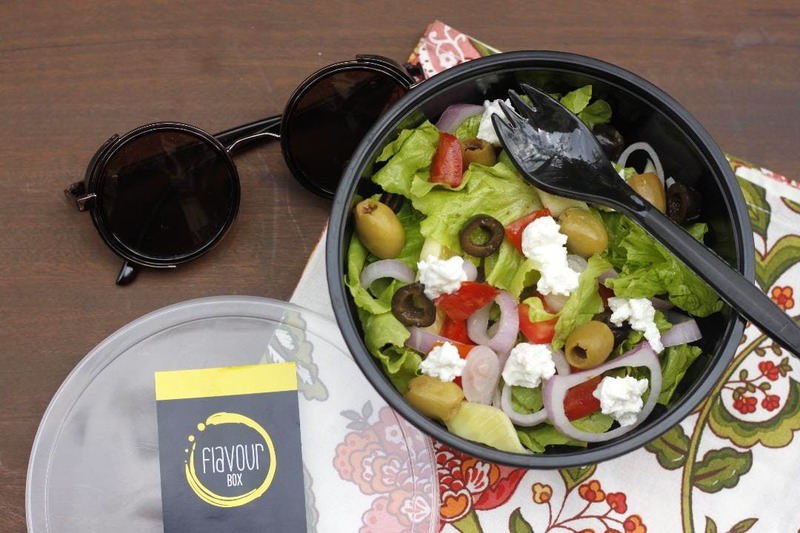 Flavour Box – a takeout and delivery service started in 2016’s September, is yet another addition to the fast-growing world of food delivery services in Kolkata. They have taken the idea of takeout meals up a notch with a menu full of gourmet food. They first started off with “do it yourself” meal boxes where all the prepped ingredients were given and you had to do the cooking yourself. Now they have a variety of ready-to-eat boxes that sell more, because they taste yummm! They have a rather unusual menu, for takeouts, only. One of their most popular dish is the Nasi baka rice wrap- an Indonesian dish where rice cakes are wrapped in banana leaf with a medley of mushrooms, grilled on a tawa, and served with peanut sambal (INR 300). If you’re on a diet, Flavour Box is perfect for you, as it has quite a number of healthy options like the Asian take on watermelon feta salad with Asian greens- tangy, spicy and low fat! Another exciting thing? if you want a completely protein-free meal, they also have options for that. Like the Khowsuey and Thai Papaya Salad (INR 200). Moving on to the carb-y items, you must try the unusual much Thai Biriyani which has veggies like babycorns, broccoli and bell peppers. They also do catering and take party orders. Orders are taken over Swiggy and Zomato or you can directly call them at 9331003755.